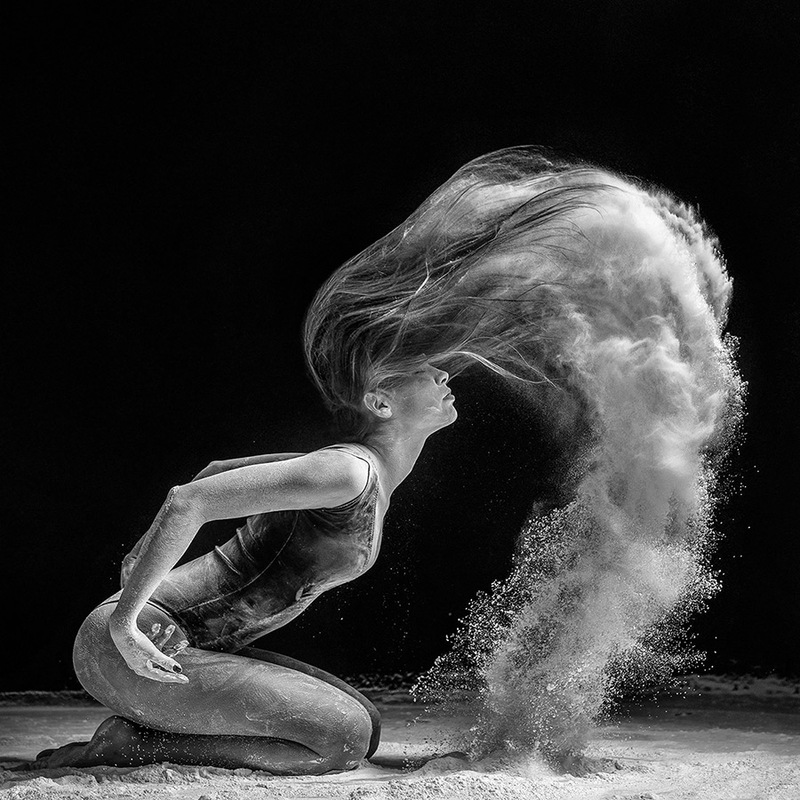 Based in Moscow, Russia, professional dance photographer, Alexander Yakovlev, incorporates the beauty, grace, power and movement of dancers bodies with the unexpected element of exploding flour. 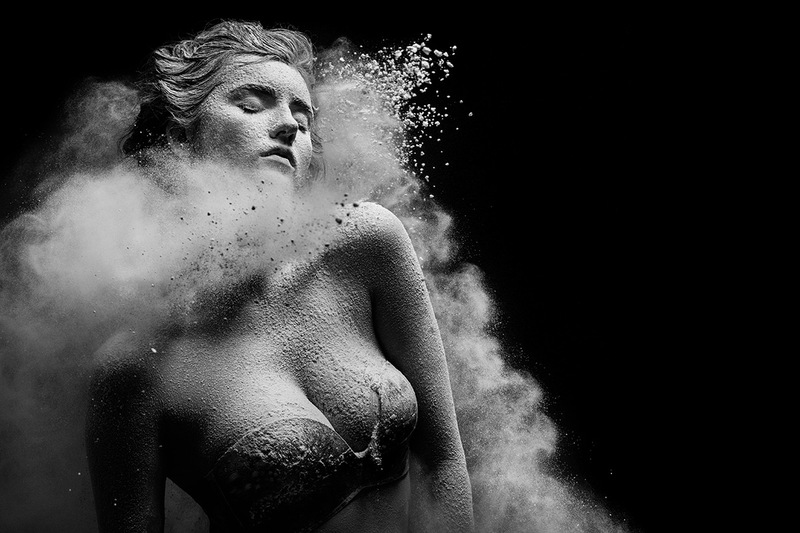 This surprising mixture of flour and dancers in motion results in gorgeous, otherworldly imagery. 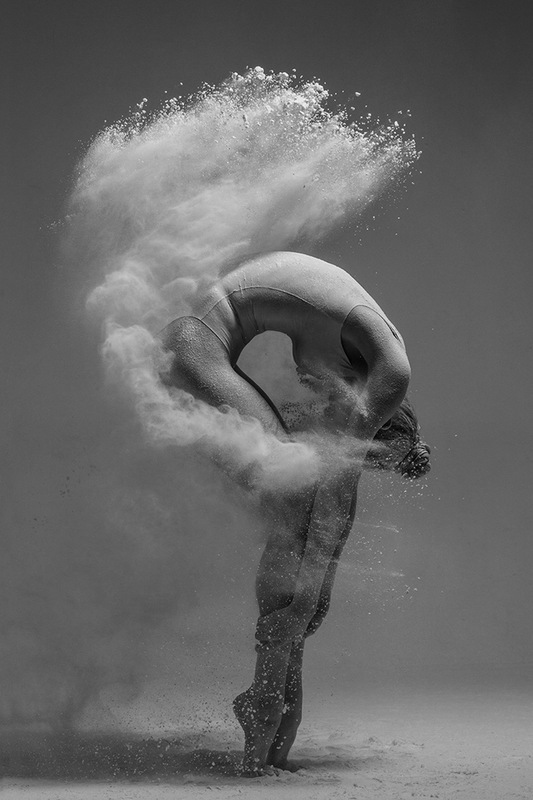 Your imagery of exploding flour combined with the beauty and movement of professional dancers bodies is extraordinary. 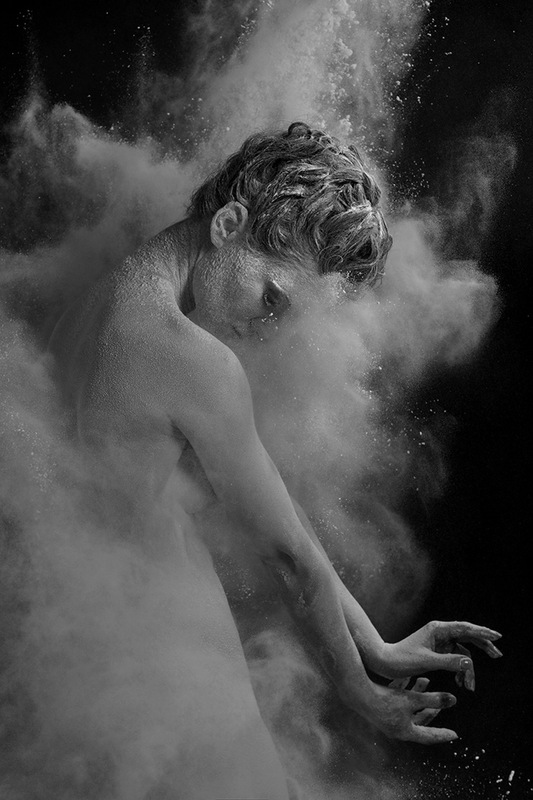 What compelled you to incorporate flour into your dance portraits? 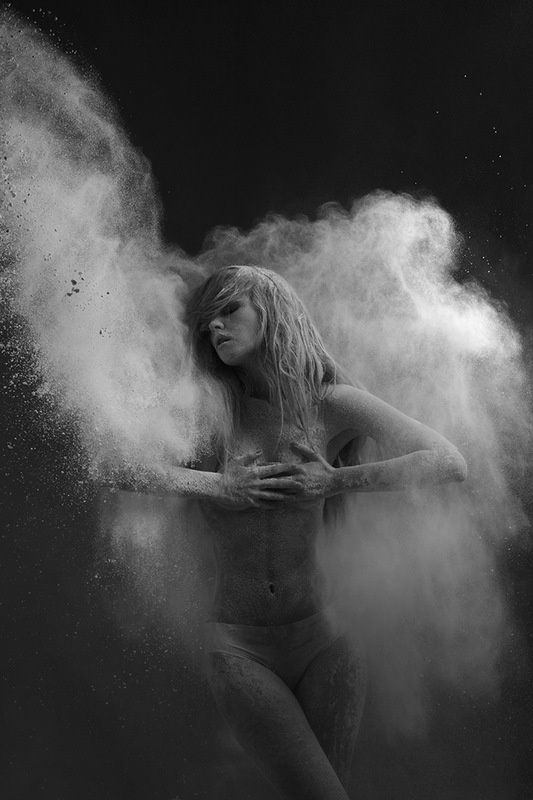 The first flour shoot was fully improvisational. 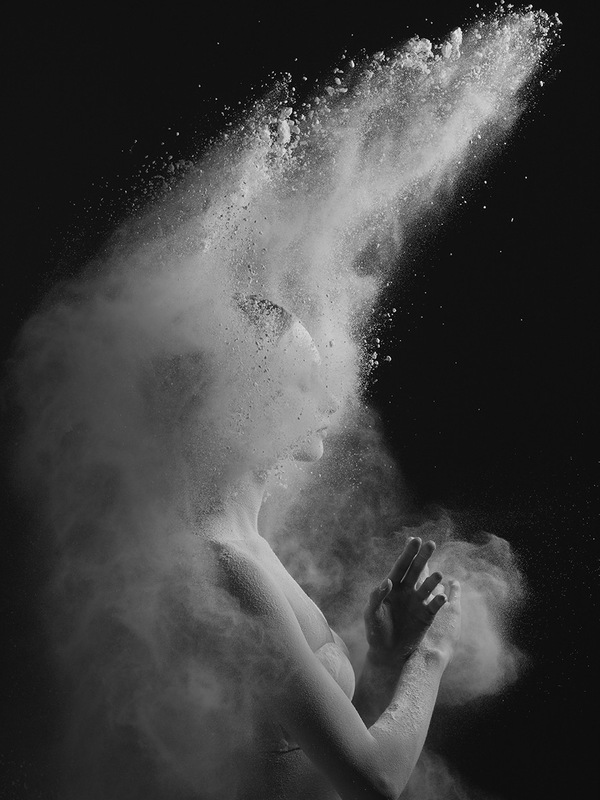 We were looking for unusual and interesting forms of the flour dust in the air combined with the postures of dancers. Anyway, the first shooting was completely improvisational. It was very difficult. 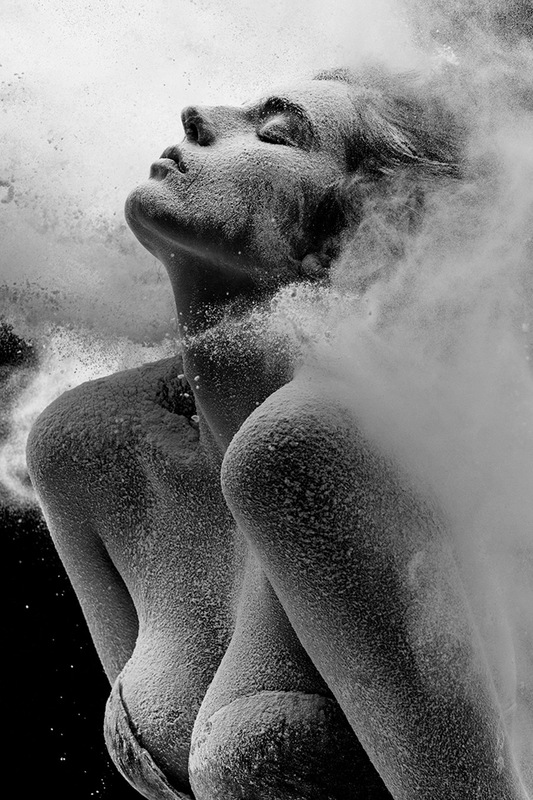 Flour is naughty stuff to work with. 🙂 The biggest challenge is creating the correct dust clouds and the correct volumetric light for the model and for the flour. It is also very important to approach the issue of casting. I really wanted to create space creatures, shrouded by clouds, stars, galaxies and mystical fog. Incorporating the ideal bodies of dancers, as nothing, as weightless, were perfect for my work as I faced the challenges of creating my visions! At the moment we are looking at the development of “The Mirages” project, but for sure, it will be associated with dance and movement! On your website you say, “It is a good viewpoint to see the world as a dream”. Is this how you are inspired? Do you look at the world and life as a dreamscape? What is your process? What kind of backdrops, lighting, cameras and lenses do you use? Is this high-speed photography? If so, on average how many frames do you take for each portrait? Almost during all the shooting I use a single light source and many reflectors. I’m in love with Broncolor light system! For most of my dancers shooting in my studio I used either 6′ octobox or the strip softbox 1×6′ and a Broncolor Scoro generator, that can give out the speed of a light pulse up to 1/12000, but for most shootings 1/2000 is enough. How many frames? That is difficult to say, sometimes you can get a beautiful pose at the very first frame, but average for the most difficult jumping poses is 50 frames. Do you discuss choreography with your models before each shoot or do you let them dance free form? If we shoot a dancer for his or her own portfolio, then of course I mainly rely on his or her improvisation. Sometimes I give my advice as to what can be changed in the dancer’s pose. And I just love to work with the ballet soloists. He or she is already a professional artist. Each shooting is like a small performance! 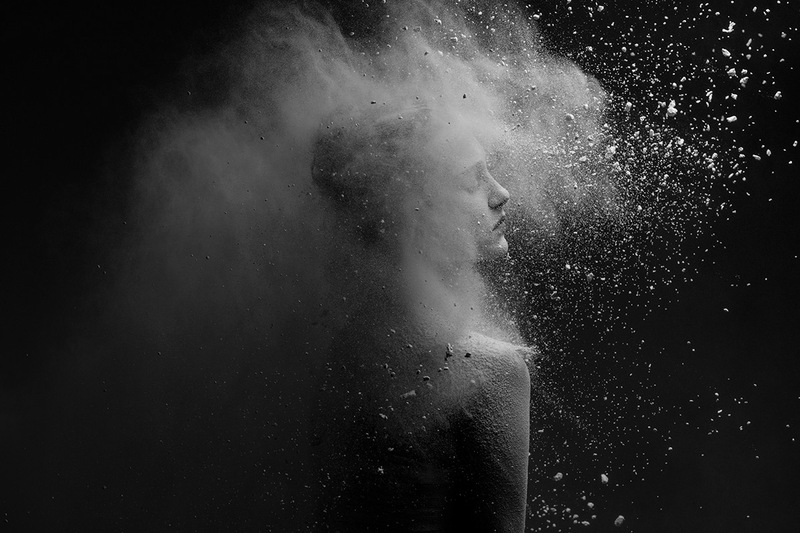 But if we have a flour shooting, we create and make corrections of poses together, and for these poses we invent how the flour will fly. 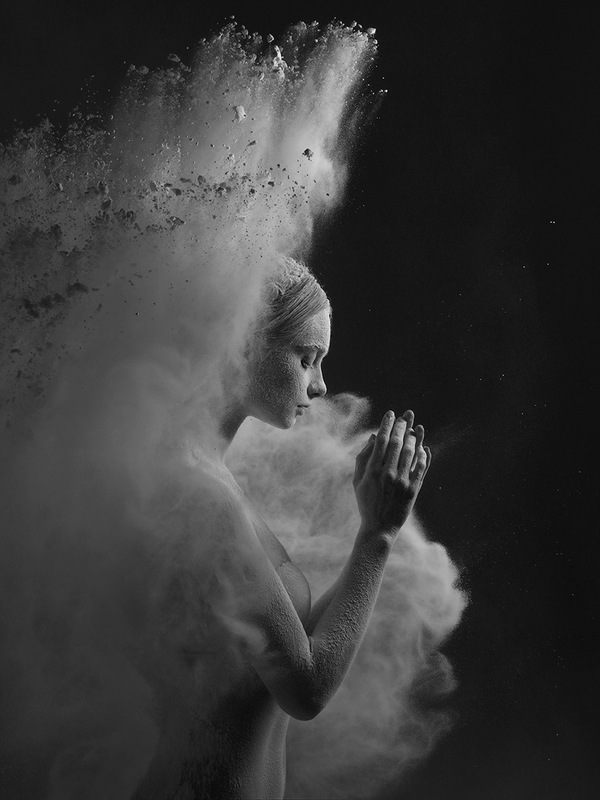 In your images, color meets black and white and movement is captured in your still photography. How are you able to create such juxtaposition in your work? I never try to think about how I’m able to create something. I always work while being in the grasp of the improvisation and I like the results! Your photograph titled, “Big Bang Theory”, went viral last year. Why do you think this image in particular resonated with so many people? I’m still puzzled over this! 🙂 You will never know, how much noise one photo or another will make. You photograph break-dancers as well as ballerinas. What are the differences, if any, when shooting different dance styles? The main difference between street dancers and ballet dancers is that classic ballet is an academic art where there are certain rules of poses and body lines, position of the feet and hands. Break-dance and hip-hop are initially street dance, where improvisation prevails. Of course there is also contemporary ballet, where artists use improvisation too. If the street dancers are good models for a photographer, then the ballet dancers are perfect models. 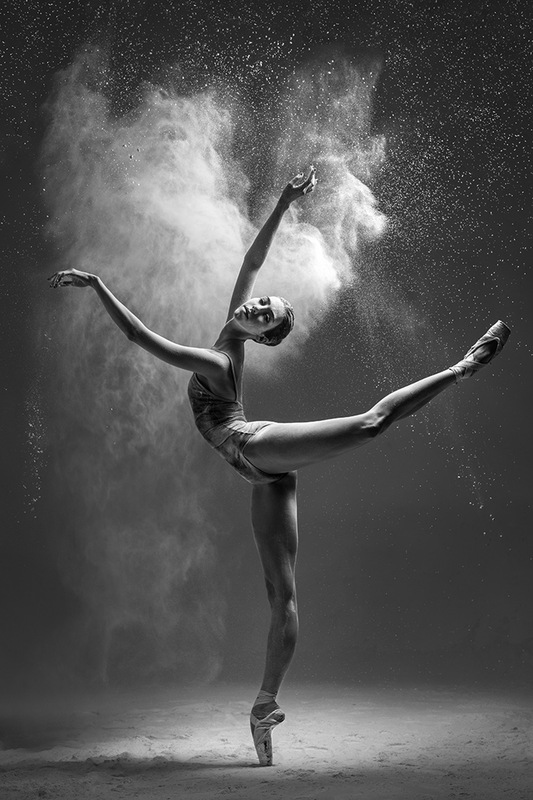 Artists of classical ballet excel more than everyone else in defining lines of the body and their artistry. Through your work, is there one thing that amazes you the most about how the human body can move? 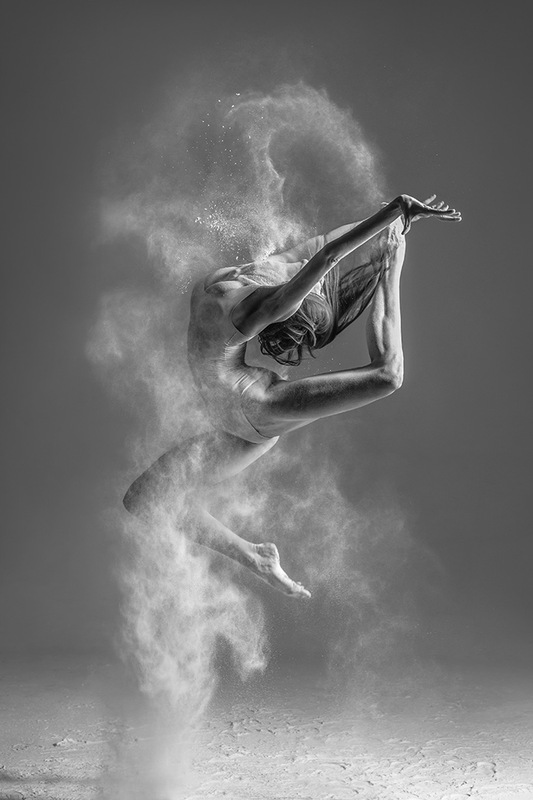 I can answer with a quote of my favorite photographer, Lois Greenfield: “The human body in motion is the most elusive and, at the same time, the most fascinating subject for a photographer. Snatching a moment with the speed of 1/2000 of a second and capturing the graceful form of dancers in flight, photos reveal what the human eye cannot see”.